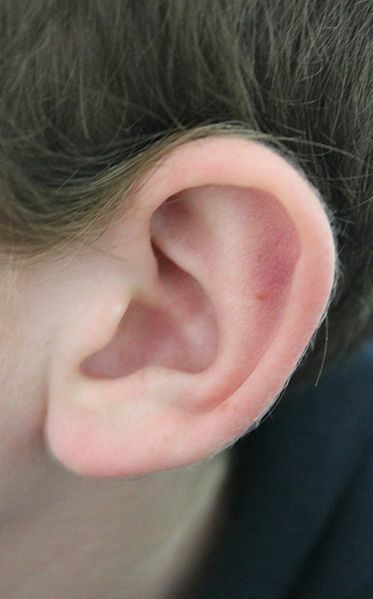 Ear – Wikipedia – Share-alike-lic. 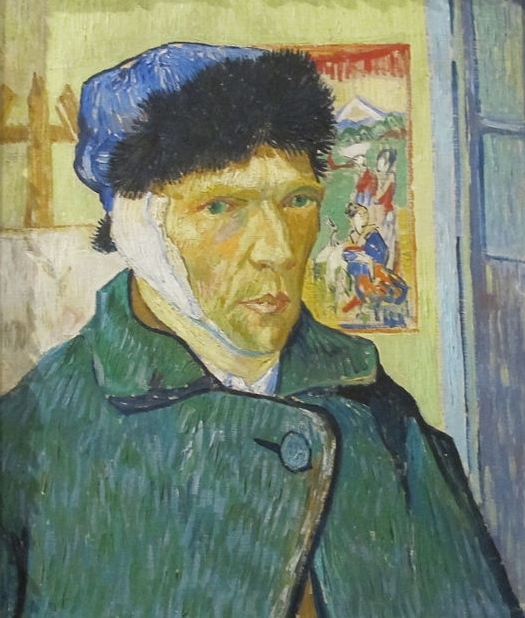 Vincent Van Gogh, one of the world’s most infamous artists, once cut off his ear (or part of his ear), to prove his love for a certain “women of ill repute”. And so, his unsuccessful attempt to woo this adulterous women which he loved, left Van Gogh without his one ear (at least in part). 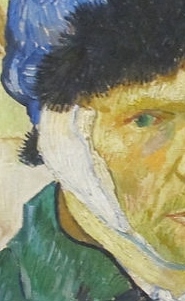 Van Gogh with ear bandage – 1889 – Wikimedia – US Public Domain. WE TOO HAVE CUT OFF OUR EAR! Now today’s society laughs at Van Gogh’s foolish “sacrifice of love”. And yet, many Christians have cut off both ears, for the sake of a harlot woman’s love! Yes, many, or perhaps most of the professed people of God have made an even greater, “sacrifice of love” for a certain, “woman of ill repute”, which is the Bible symbol for the apostate portion of the Church! In other words, the Bible compares the apostate churches to an adulterous woman. And those who remain in such dead congregations, do not and cannot hear nor understand the deeper truths veiled within the seemingly countless allegories, parables and types and symbols found therein. Some 60 years ago, one commercial construction engineer named Harold Camping began a radio station dedicated to broadcasting the Gospel to San Francisco Bay area. And about the same time, this engineer-turned-Bible-teacher decided to begin studying his Bible as if he were cramming for a college final exam. And so, for about an average of 5 or 6 hours per day, Camping began studying his Bible, comparing scripture with scripture, and spiritual things with spiritual. And rather than reading the writings of the past theologians, Camping decided to let the Bible only be his sole arbiter of truth. Well, in the process of time, Camping realized that the Bible was a spiritual Book. In other words, he began to discern that the many various stories of both testaments presented spiritual truths, which were veiled within the many allegories, parables, and prophecies contained therein. You could say that Camping had “ears to hear” in a day when most Bible teachers and theologians do not see nor do they hear the deeper spiritual truths of “hidden manna”, veiled within those true historical accounts. A WALKING PARABLE? OR NOT? Now it is rather interesting, that when looking at a photo of Harold Camping, he obviously had extremely large ears! And from looking at his photos, it was evident that Camping definitely had ears to hear! Well, whether or not God purposely gave Harold his large ears that he might be a walking parable, is really irrelevant. The fact is, although not trained in theological seminaries, Harold Camping arguably became one of the greatest theologians of the New Testament era, cracking open seemingly countless mysterious Bible verses which no other theologian could previously interpret or discern! And all that a Noble Berean has to do is to listen to the many audio Bible studies contained at the bottom of each day’s devotional, to see whether or not this website’s glowing assessment of Harold Camping is accurate. This newest Signs Of Heaven Constellation (Fall, 2013) is by far the faintest of constellations, but is a very incredible and awesome one in a number of ways (which this article will explain). 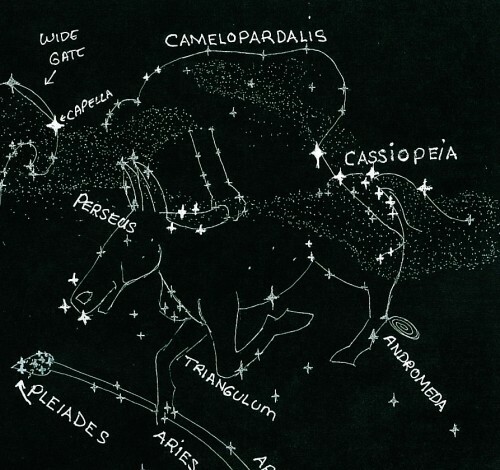 It is primarily comprised of the Camelopardalis Constellation (head and upper back), plus about 5 stars from the Cassiopeia Constellation (his leg), plus some random stars. It appears as an outline of a rider. Only the back of his head is detailed. And his back and the back of his legs are also detailed. Both sides of his arm are visible, and his hand is gripping the horses mane, and that is detailed by three stars (which are also part of the horse’s mane). The rider is in a position vaguely similar to a race-horse jockey. The two brightest stars in this constellation, are from the Cassiopeia Constellation, and are part of his leg. All the rest of the stars are very faint, and must be viewed on a very starry night. Since this constellation has just been revealed, there may be more to this constellation in the coming months. But if you can locate the Goodly Horse in Battle Constellation, then you shouldn’t have too much trouble locating this Rider Constellation, provided you have excellent star-watching conditions. 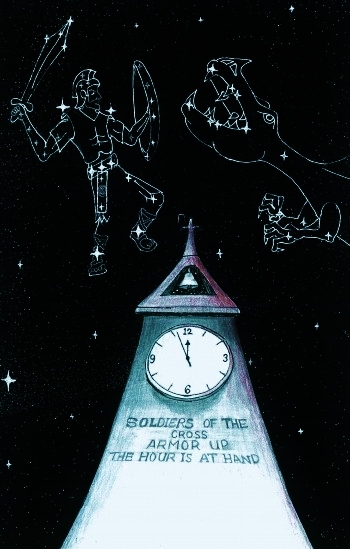 The above picture is not a totally accurate, but hopefully close enough to locate these constellations in the night-sky. Scroll down this page to see actual star-charts. This recording #125, is a small 30 minute sampling of the late Harold Camping’s 90 minute nightly talk shows. This particular program aired in the last few years of his 50 year radio ministry..